"Nothing That You'll Find Anywhere Else in Europe"
DIA Europe is more than just a traditional meeting. As our members say "there is something special about DIA Europe": It's a chance to learn, engage, and grow as a professional in healthcare. After a momentous showing in Basel in 2018, DIA Europe heads to Vienna. We convene our "Annual Meeting" conferences around the globe - from the DIA Global Annual Meeting in the United States, to regional meetings in China, Europe, India, Singapore and Japan. Thought leaders across all disciplines unite together in a neutral forum to discuss current issues, with the goal of uncovering new ways of working and new solutions for patients. We welcome participants from across the entire drug development industry. By incorporating representatives from the full life sciences landscape we facilitate open collaboration. We ensure that industry, payers, patients, and regulators, all have an equal voice. 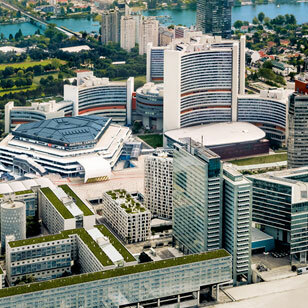 We look forward to welcoming YOU to DIA Europe in Vienna, - not only a huge city of music, culture and history, but also a "hub" of the life sciences that reaches far into Eastern Europe. Use the App. Our final programme, exhibition floorplan and all useful information about DIA Europe won't be printed: everything is accessible from this website, and from the App during the event! No conference bags, notepads or pens will be given – in order to reduce waste. Travel to and from Vienna by train. Also, most attractions can be reached by foot or via the public transport system in Vienna. You will have access to electronic Posters on display during and after the conference.